This is without doubt Mark Row's biggest challenge yet... To learn the craft of stand up comedy in only a year, and use that knowledge to stage a show at the largest, most famous comedy festival in the history of the world!! And... what's more, he plans to make a documentary showing 'warts and all' what it's like to be a comedian trying to find your way, on the difficult journey to Edinburgh, with only a microphone for protection. Fortunately he's not really doing all of this alone... 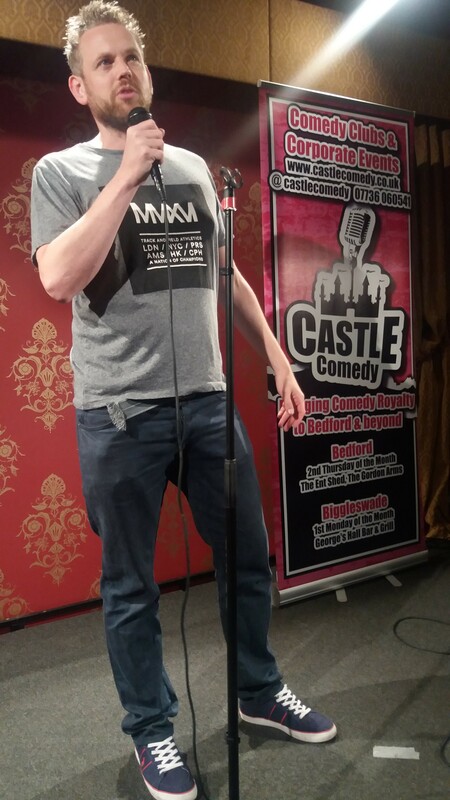 Supported by the Comedy Cow, an established comedy club with a range of nights in his hometown of Milton Keynes, Mark has been gaining plenty of experience. Despite only stepping on stage for the first time in October, he has already become a regular on the London open Mic circuit, but has also performed at the Backyard Comedy Club, and at the Red Dot Bar at MK stadium on three ocassions, with plenty more already lined up for 2017. Along the way he has met and interviewed a range of comedians, from those also starting out, to regulars on your TV screens. Their support, encouragment and advice have been crucial in helping Mark to develop, and the help that they have given is the real key to why Mark firmly believes he will not only make it to Edinburgh, but when he gets there he'll have a smile on his face, and hopefully he'll put one of your faces too! Although he is so new to the world of Stand up that he still hasn't been taken out of the wrapper yet; actor, writer, director and Drama teacher Mark Row is no stranger to big challenges, having previously launched Fortune's Fool Theatre Company, and written, produced and appeared in his own short film, Eidolon, which has recently premiered at the Sarajevo Fashion Film Festival.